The ultimate all-around bag just got better. 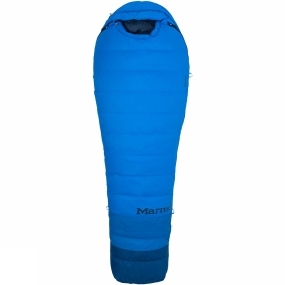 Introducing the Mens Sawtooth Treadlight Long Sleeping Bag from Marmot, with all the benefits of the original Sawtooth, which blends just the right down warmth with just the right weight, but now made with eco-conscious materials and processes. This durable bag is made with old down comforters, down jackets and other items from landfills, which were collected, sterilized and repurposed.